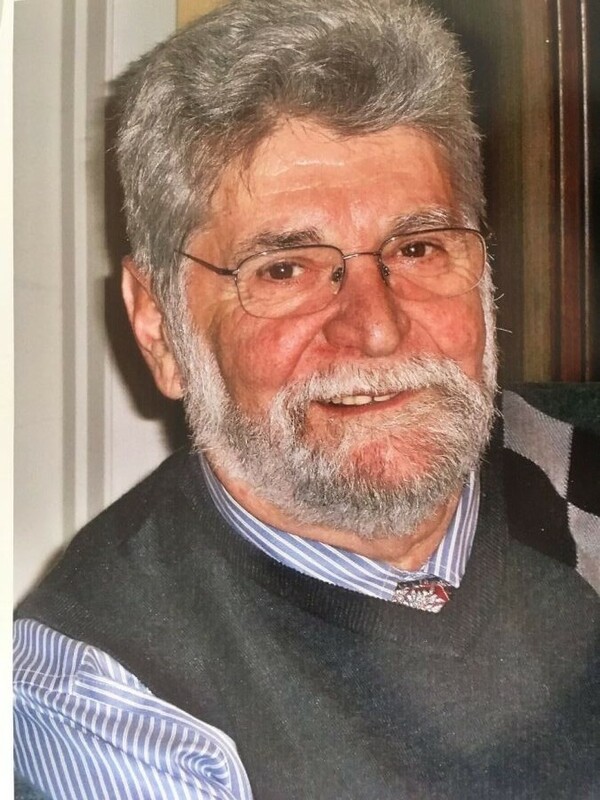 Rupert J. Foglietta, 79, of Georgetown and formerly of Lynnfield, passed away on Saturday morning, April 6, 2019 surrounded by the love of his family at the Kaplan Family Hospice House in Danvers. Mr. Foglietta was born in Lynnfield, MA to the late Rupert and Lillian (Lancaster) Foglietta. He was raised and educated in Lynnfield and worked for many years as a Specialist at The Lynnfield Center Water District, until his retirement in 2004. Rupert proudly served his country as a member of the U.S. Army. He was an extremely generous man with both his time and his love to others which was evident by his volunteering for the Touched Twice Ministries and his hard work prepping and cooking for the Byfield Parish Senior Luncheons. He was an avid outdoorsman, especially enjoying camping and fishing, however his greatest passion was being in the company of his loving family. Rupert is survived by his beloved wife Lana L. ( Howell ) Foglietta of Georgetown and their children, Lisa L. Philpot and her husband Donald of Georgetown and Michael R. Foglietta and his wife Erin of Turner, ME., his grandchildren, Ashley Veiga and her husband Stephen, Nicholas Philpot and his wife Emily, Sarah Senning and her husband Benjamin, Justin Foglietta and Joshua Foglietta, his great-grandchildren, Kingsley, Calvin and one on the way. Rupert is also survived by his siblings, Loretta Gibbons, Lillian Ross and Robert Foglietta all of Lynnfield as well as his many nieces and nephews. He was predeceased by his siblings, Donald and Ronald Foglietta and Ronetta Munroe.